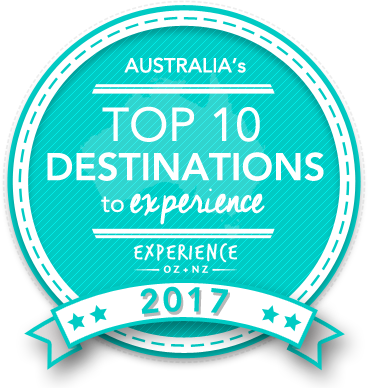 Vote forGreat Keppel Island, QLDTop Island Destinations Which are Australia's must-visit destinations? You help us decide. One of the largest and most beautiful islands in the southern portion of the Great Barrier Reef, Great Keppel Island is significantly developed compared to many of its neighbours. With 17 pristine white sandy beaches set over 1454 hectares of outstanding natural beauty, magnificent coral reef and mind blowing marine life, it remains one of the premier springboards from which to explore the wonders of the Southern Great Barrier Reef. Located 15km from the coast off Yeppoon, Great Keppel Island lies in an area known as the Capricorn Coast of Central Queensland, Australia. With its crystal clear turquoise waters, white sand, beautiful coral gardens, natural bushlands, fringing coral reefs, bays, sun drenched beaches, bush walking trails and panoramic natural beauty, Great Keppel Island serves as a wonderful vacation gateway for day trips and extended holidays. Great Keppel Island is home to multiple uncluttered, pristine beaches, surrounded by stunning coral gardens, hidden coves and crystal clear waters. Guests can choose to relax on the pristine beaches and watch swathes of waves strike the breathtaking coast or dive right in and explore the flourishing reef directly off the shore. Located on the southern portion of the Great Barrier Reef, a vast stretch of the Great Keppel Island coastline is decorated by colourful coral reefs, which invite you to enjoy safe scuba diving and snorkelling. All of this combined makes it one of the most underrated islands on the Great Barrier Reef and a definite must-see for visitors looking to explore the southern section of the reef. Activity-wise, guests can explore the Southern Great Barrier Reef with a guided kayak & snorkel trip or jump aboard a full island jet ski tour – circumnavigating the full 28km island. With a licensed bar & bistro, Great Keppel Island Hideaway offers breakfast, lunch and dinner daily, with a complete renovation of the restaurant underway and 12 brand new rooms under construction, Great Keppel Island Hideaway is growing in leaps & bounds and is looking forward to putting GKI back on the map. For an unforgettable experience, head to the beach at sunset to watch another day turn over in this gorgeous part of the world. Visitors often enjoy eating a picnic on one of the beautiful beaches; their extensive number means that even if one has seventeen days on the island, there's a chance to spend a day at each! An ideal destination for travellers looking to unplug from the outside world, Great Keppel Island is the perfect example of Great Barrier Reef beauty balanced with both uninhibited nature and a sufficient amount of development. Looking to pay a visit to Great Keppel Island but not sure what to do? Here are some of its most essential experiences. What's new on Great Keppel Island? A dozen new rooms under construction at the popular Great Keppel island Hideaway on-island accommodation facility. The island has been transformed and repurposed into a comfortable and laid-back destination ideal for families after a past reputation as a party spot. Is Great Keppel Island Australia's Top Island Destination to Experience for 2017? Vote now for the chance to WIN an epic trip to one of Australia's top destinations!